When you first told your friends, family, and colleagues about your plans to go solar, you were likely greeted with excitement, but also come confusion surrounding the installation process. With so much misinformation around the web, it can be difficult to make an informed decision, so let’s get to the truth as we address the most common myths regarding solar energy and the facts you need to make the best possible choice for your home. Fact: Going solar is an investment and not an insubstantial one, but in the long run it can save homeowners money and in recent years, the cost of going solar has actually dropped. It is also predicted that prices will decrease by a further 25% in the next few years. Fact: You may have been warned that solar panels are not installed well and that you run the risk of being conned by the company that installs them. Like any large purchase, you’ll need to check the references of your contractor and read your paperwork carefully but the solar panel industry is actually very well regulated and if you choose a CanSIA Member, you can have peace of mind that they have subscribed to a code of ethics and a business code of conduct. Fact: It’s true Canada can get pretty cold in the winter months and it may well feel like you haven't seen the sun in a really long time, but in actual fact, solar modules perform better in the extreme cold and any skier knows that even in snowy conditions the sun can still be really bright. Besides which, in the summer months we collect more energy than we need which can be stored for use in the winter. 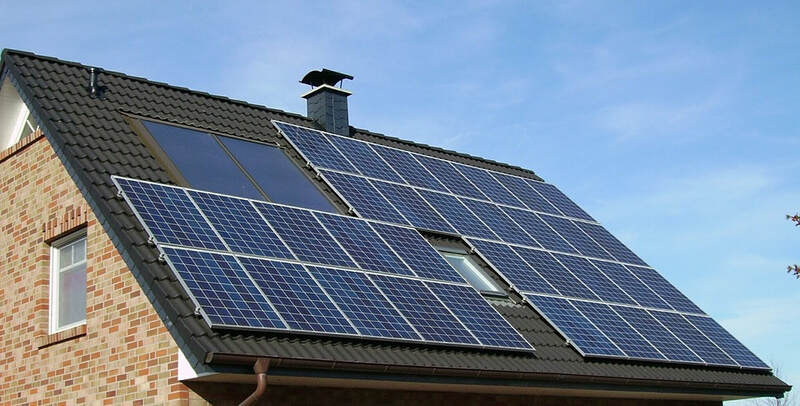 Fact: On the contrary, eco-conscious home buyers often view solar panels as a very attractive upgrade and are prepared to pay a premium for homes with this technology. Fact: This may have been true in years past when solar panels were very rare and therefore very noticeable, nowadays some manufacturers even make roof shingle panels which blend in well with your existing roof. As we have become more used to seeing them on houses and how they signal a commitment to the environment they have become more fashionable and popular than ever.